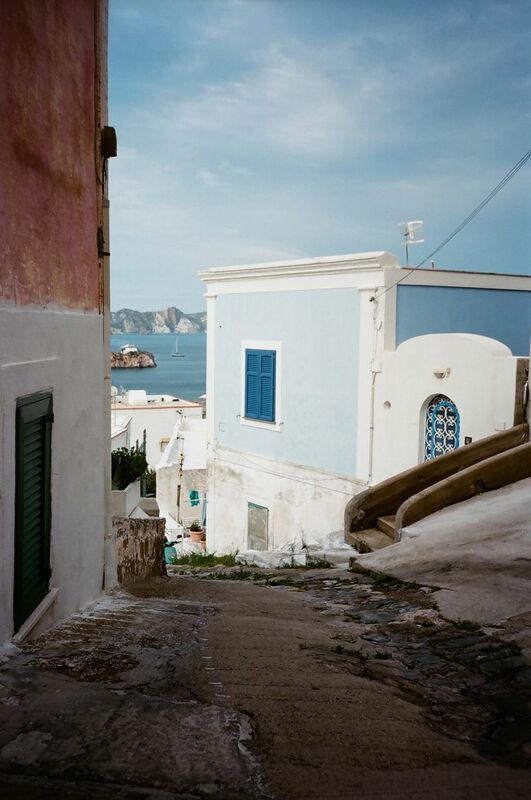 Wander the island of Ponza on foot or by boat or by scooter—ASAP. The pessimist/realist in all of us thinks every picturesque destination that’s fairly convenient has already been discovered, developed, and flooded with American tourists asking where the McDonald’s is. The optimist/realist in me is here to tell you: All hope is not lost. 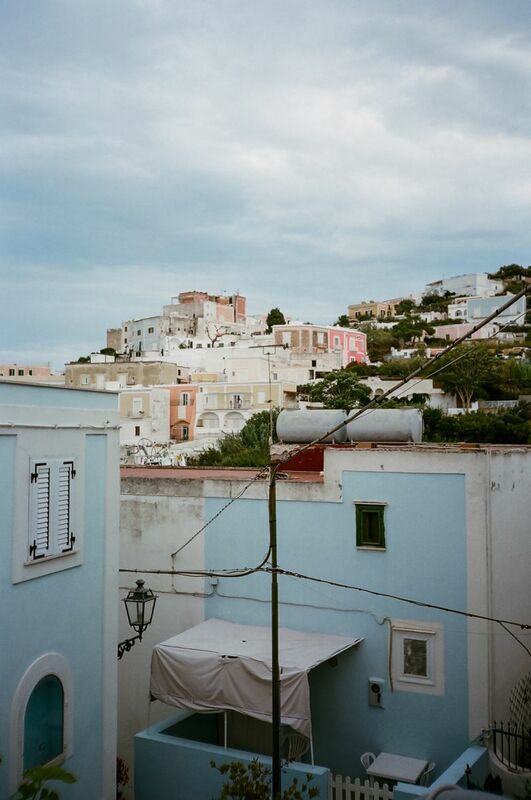 There is still Ponza, an island in the Tyrrhenian Sea, that's just a few hours from Rome. 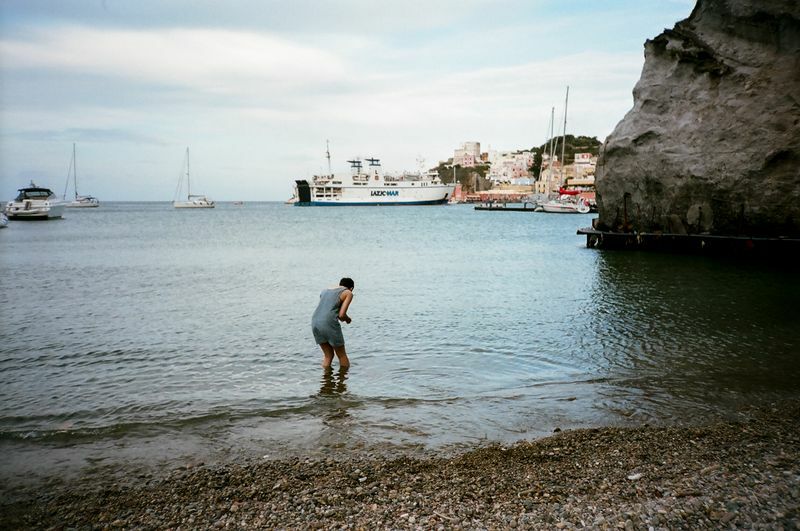 When I asked Rome-based food (and all things Italy) expert Katie Parla where I should go for a weekend away from Rome if I wanted to get my feet wet, the answer was simply: Ponza. She wrote about it for the New York Times in 2011; her description of the island is still entirely accurate and one of the few guides on the topic. People (you!) can rent a boat in the port so long as you have a driver’s license. You can boat around the island and explore its grottoes (a.k.a. water caves). It was too windy for us to do so, so try it out and let me know what I missed. Either way, don’t miss the water. There are great rocks to be collected and warm water to soothe your feet after walking around the whole island. We walked down every spindly, narrow road that sometimes (oftentimes) dead-ended. 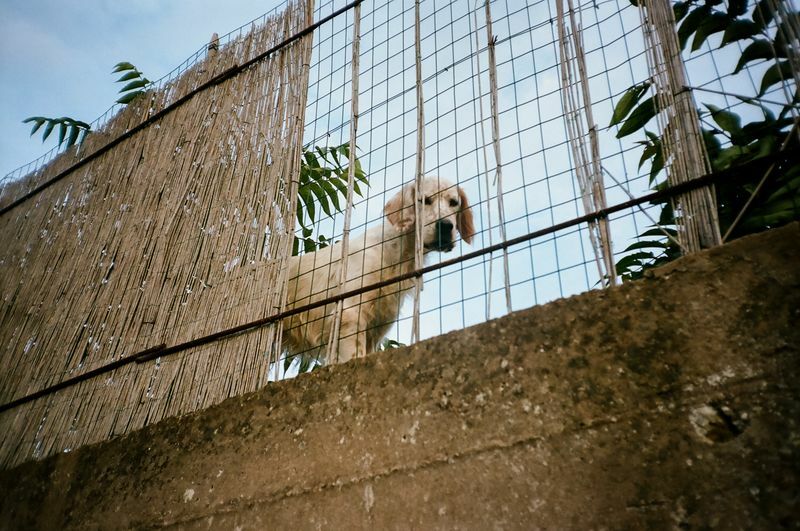 But even when they did, there was something that caught my eye—cactus, grape vines (the wine from Ponza is good), fig and pomegranate and citrus trees, fennel plants, grandmas in their house dresses tending to their plants, scents from kitchens where I wanted to eat, and so many animals (see below). At times I felt intrusive—homes are built very close together and roads bump right into them—but then I’d get a warm smile—and so I stole a fig or five. Renting a scooter in the port will allow you to go further afield—though not much further. 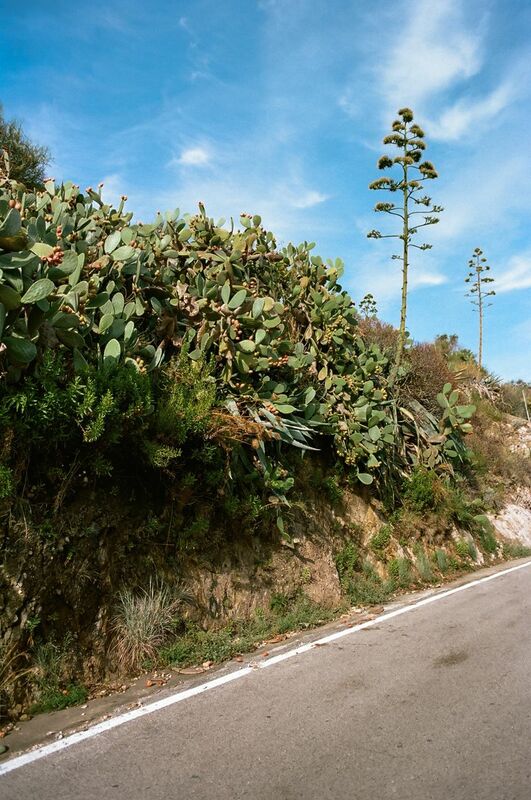 There are only two main roads on the island and both will take you to the ends of the island, so you can't get lost. 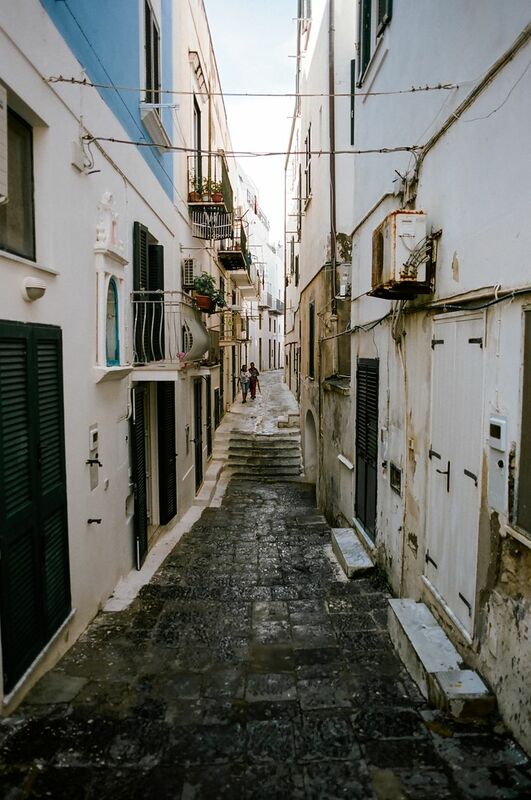 The west side of the island is where you’ll find sandy beaches, most notably Chiaia di Luna; the east side offers views of the port and the colorful buildings that sit atop the hills above it. I’d suggest not setting your heart on any one place and just letting the roads guide you. 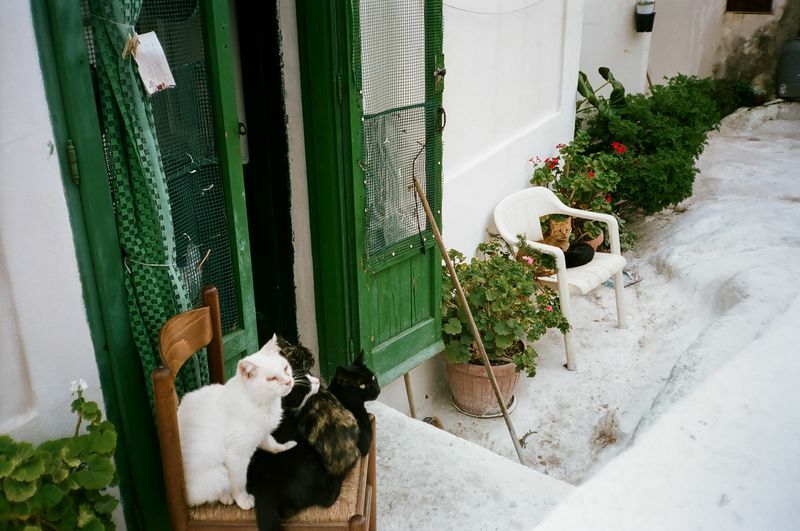 You might just find a family of cats that’s better than that beach you didn’t make it to (true story). Okay, I really just wanted to show you these animals! 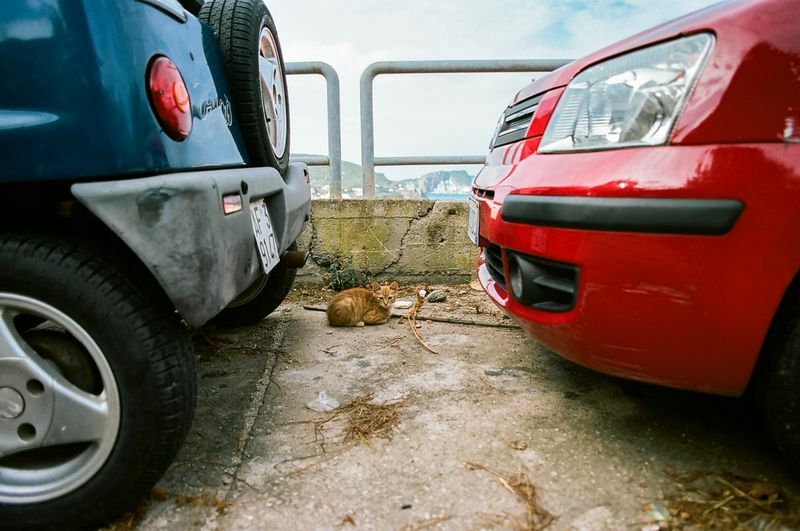 They're everywhere on the island—some feral, some people's pets—that wander around as if they own the place. There are two hydrofoil options from Anzio for getting to the island: Vetor and Laziomar. The latter is slower and cheaper but 100% better—because it actually runs. Vetor canceled trips due to weather when Laziomar ran, and there aren’t enough transport options on the island to waste precious relaxation time dealing with ferry issues. Be prepared for rain—and poor irrigation. 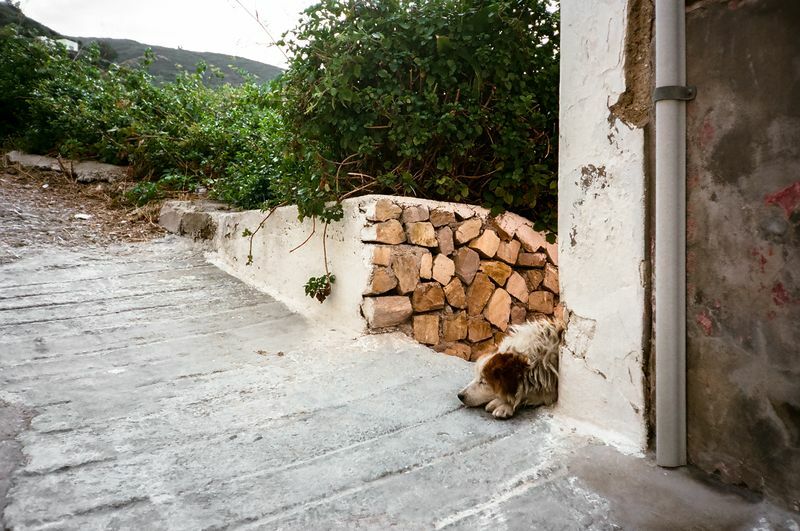 It stormed when we visited and rain simply thrashed down the island's many stairs instead of ever touching a pipe. 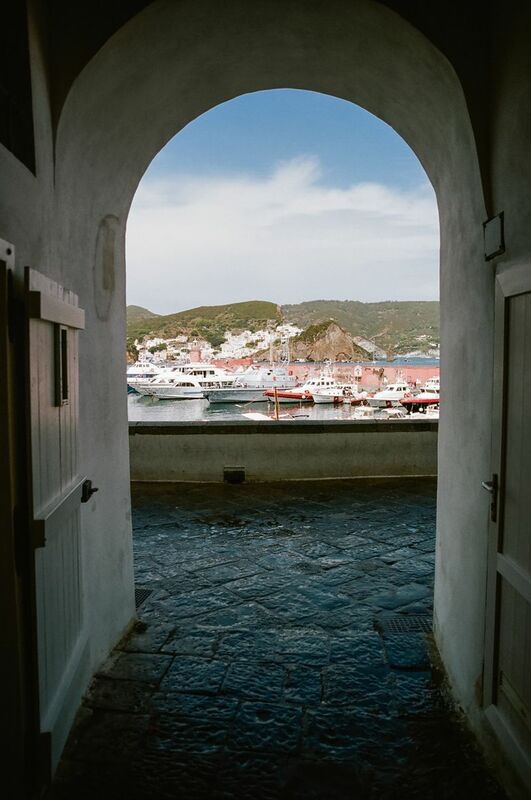 There are a lot of great little markets in the port; the best way to eat on this island is to grab some fruit, bread, and cheese from them and nosh on that while you explore. Gillian, no Chiaia di Luna is not open, and won't be for a long time. Seems no one wants to sign off on the safety of the beach (falling rocks). Word of warning: be extremely careful with a scooter or boat. There are hidden rocks out there that are very dangerous. Go with a tour boat to get an understanding of the sea and the captains will be full of info about the area. Driving is crazy...be super careful on a scooter (I've got the scars to prove it.) I highly recommend 'rock shoes'...those gummy soled shoes that you swim in because the rocks can be sharp. There is only one sandy beach: Cala Feola, the rest are gorgeous rock outcroppings. Cala Feola also has one of the best seafood restaurants...anywhere! If you want to swim (and who wouldn't in that gorgeous water?) Be prepared for hard, steep climbs to and from the water, except for Frontone where you can take shuttle boats from the port. 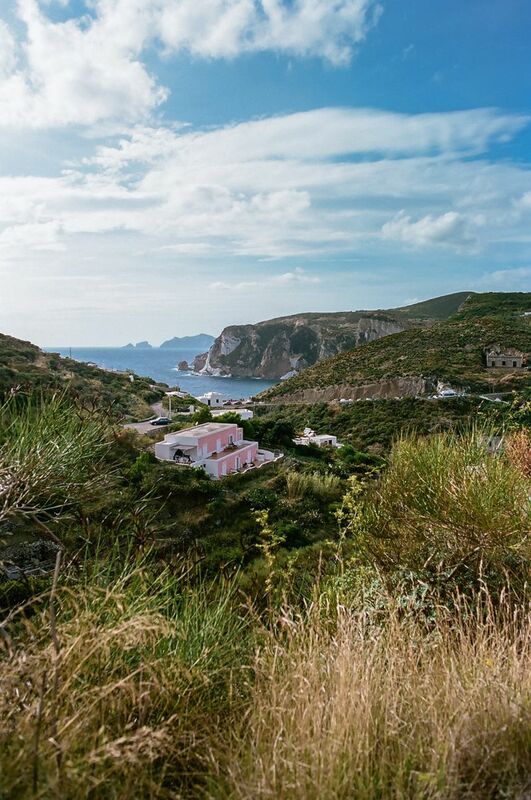 I love, love, love Ponza! 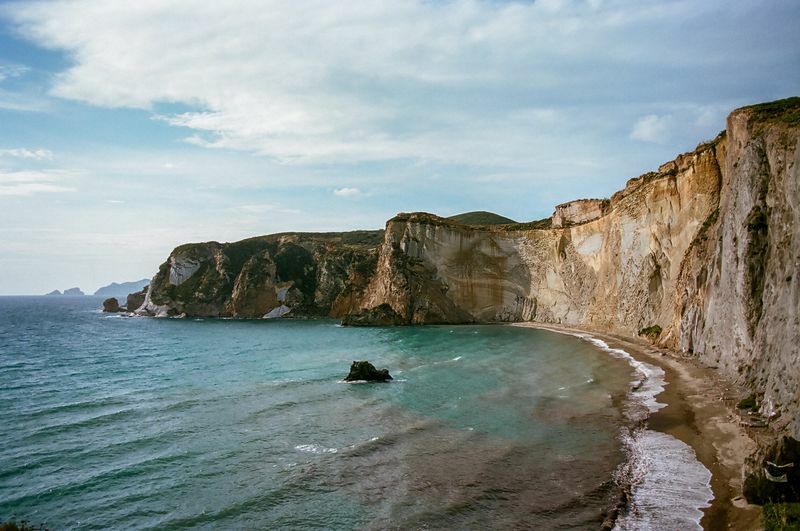 Is the beach at Chiaia di Luna open again? It was not in late June when I was there. 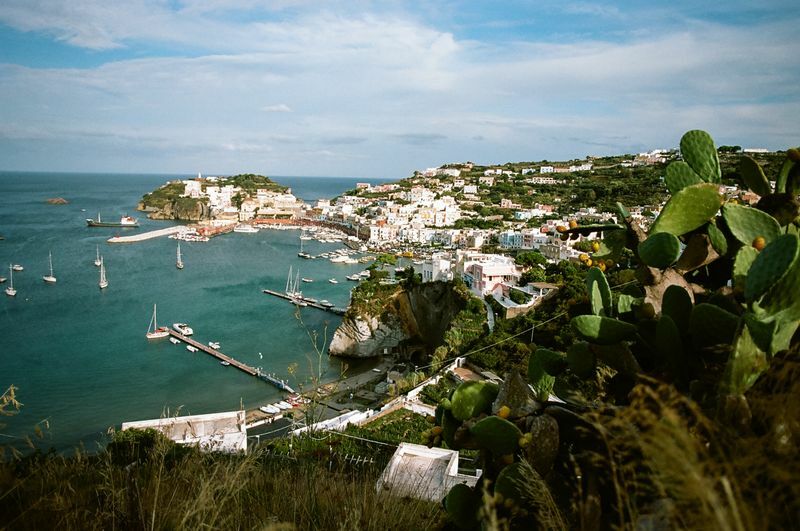 Ponza went on the list of must go places to spend time in Italy. Sounds perfect for a relaxing weekend.